Today we announce the creation of the ownCloud Foundation. The Foundation is a not-for-profit organization with the charter of stewarding the ownCloud ecosystem, and guaranteeing the viability and availability of free ownCloud now and in the future. I have had an interest in starting a foundation for ownCloud for years and now, the time is right. For those of you who are already very involved with ownCloud, nothing changes in how you contribute. However, you will find a re-commitment to open development and direction for each working group as set by the working group lead. The board will provide oversight and will have demonstrated expertise in multiple areas that impact the ownCloud ecosystem. From frequent contributors to large scale deployments to those elected by the community, we hope to offer a home for everyone. Lastly, this ensures that ownCloud will continue as the amazing project it is, regardless of the commercial entity. 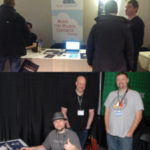 Welcome to the ownCloud Foundation! 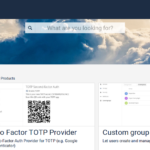 The new ownCloud marketplace is here!